This meeting was attended by an enthusiastic crowd in excess of 20,000 fans. 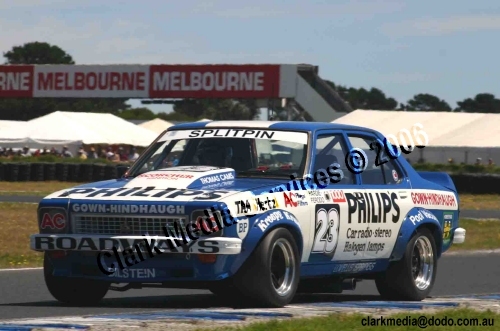 There is no doubt that this golden era of Australian Motor Racing, the Group C era, comprising most of the 70's up till 1984, cemented the fascination with touring car racing in Australia, up to and including today's V8 Supercars. The difference between today's Supercars and the Group C's represented in this particular race was the variety of makes and models on display, and their true relation to road cars, and the spectacular manner in which they can be driven. 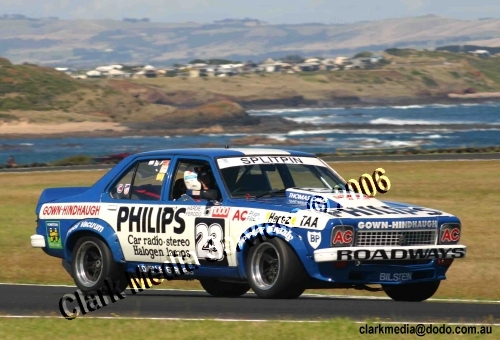 It was a period where legends were born and reputations forged which affected generations of car enthusiasts. 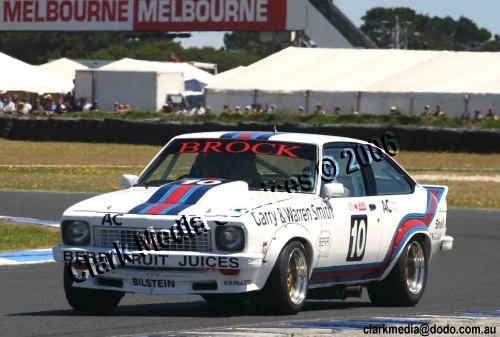 Peter Brock and Phil Brock both raced Group C Torana A9X's. 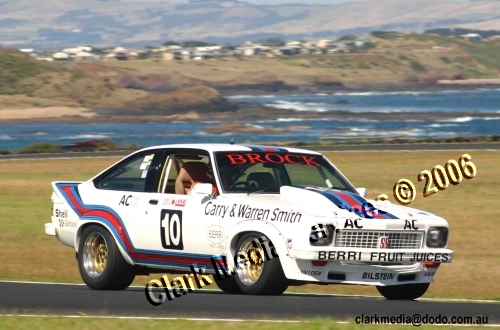 Phil's story is elsewhere on the Team Brock website. 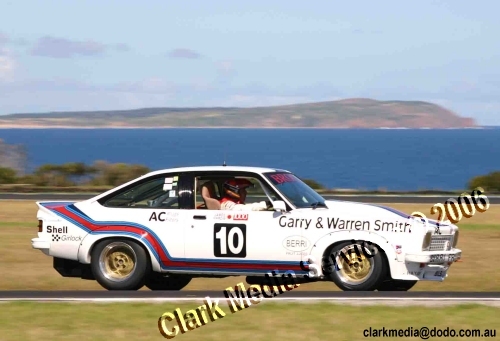 Peter's car was a jet, beautifully prepared by Rob Hands, and in the hands of Peter Perfect, driving superbly, successfully broke the Phillip Island lap record for Group C race cars. Rob Hands' comment was: "He is a freak, not only the lap record, but most of the spectators came to watch him race today." 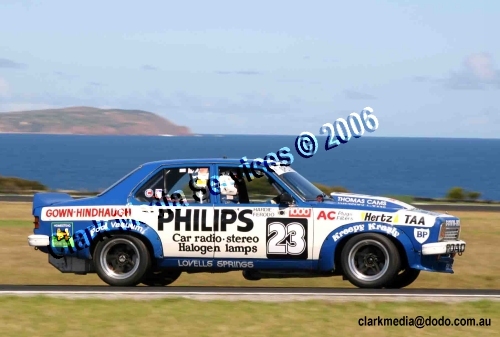 Peter's next outing in this car is at the historic meeting at Eastern Creek, March 25-26, 2006, where he would also like to talk to the Group C people to respond to their invitation to be their patron, and making the category as good as it can be. Don't miss it!! It makes for great competition!